"This is very unique and promises to be an extremely useful guide to a host of workers in the field. They have given a generalized presentation likely to cover most if not all situations to be encountered in the laboratory, yet also highlight several specific examples that clearly illustrate the methods. They have provided an admirable contribution to the community. If someone makes their living by designing lasers, optical parametric oscillators or other devices employing nonlinear crystals, or designing experiments incorporating laser beam propagation through linear or nonlinear media, then this book will be a welcome addition to their bookshelf." 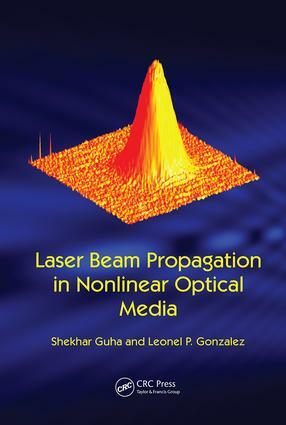 Laser Beam Propagation in Nonlinear Optical Media provides a collection of expressions, equations, formulas, and derivations used in calculating laser beam propagation through linear and nonlinear media which are useful for predicting experimental results. The authors address light propagation in anisotropic media, oscillation directions of the electric field and displacement vectors, the walk-off angles between the Poynting and propagation vectors, and effective values of the d coefficient for biaxial, uniaxial, and isotropic crystals. They delve into solutions of the coupled three wave mixing equations for various nonlinear optical processes, including quasi-phase matching and optical parametric oscillation, and discuss focusing effects and numerical techniques used for beam propagation analysis in nonlinear media, and phase retrieval technique. The book also includes examples of MATLAB and FORTRAN computer programs for numerical evaluations. An ideal resource for students taking graduate level courses in nonlinear optics, Laser Beam Propagation in Nonlinear Optical Media can also be used as a reference for practicing professionals.